Hello, I am Akira, the owner/chef of VegiLicious restaurant. The concept of VegiLicious is harmony, happiness, and world peace. VegiLicious is a small restaurant. I have a big dream that one day all the people in the world will live happy & peacefully. "Eat VegiLicious. Better the World." 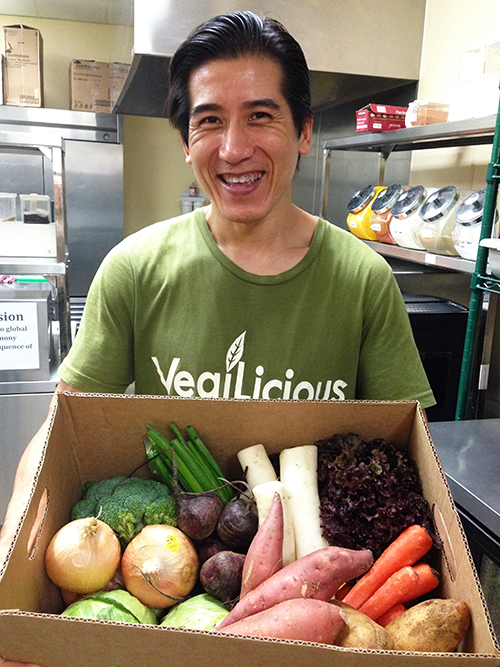 I would like VegiLicious' food to contribute to the health and happiness of you and the planet more and more. The very first chance for me to be aware of the connection of this consept dates back to the time when I was training hard for wrestling in my late 20's. I won a national wrestling championship in Japan in 1999 and 2000. I had been health-conscious and refrained from fried food, fatty food and snacks as well as food containing artificial additives although I was eating meat normally. I started noticing that I got tired sooner next day I had eaten a lot of meat. When I had a lot more plant food than meat, I was able to train a lot harder and longer. Taking that opportunity, I started learning closely about the relations between food and health, I realized that there were not only adverse effects given to the body by meat, but also the environmental destruction and promotion of food shortage caused by livestock as well as disastrous slaughter methods of livestock. And I started feeling guilty about the fact that I was serving a lot of meat as the manager of a BBQ restaurant, to the customers who don't have any knowledge about all the dark side of meat. I also learned that livestock consumes so much food and water and creates so much harm for the planet. Stock raising needs at least 20 times more water than farming and an average of 8 pounds of grain such as corn, soy and barley needs to be fed in order to produce one pound of meat (11 pounds of grain 1 pound of beef) even though there are a lot of people suffering from hunger in the other side of the world. Livestock discharges more greenhouse gas emissions by breathing, burp, and fart of livestock than all existing vehicles in the world and causes desertification of farms and acid rain by manure. Those animals are actually raised in very poor environment and are eventually slaughtered in a cruel way. I was really shocked with all these facts. When I considered "What is the purpose for us to live? Why do we live? ", I came to the conclusion that we were born to polish our own spirit. Since then I have believed that my meaning of life is to give others something beneficial and delightful in their lives, and I have been making efforts to acquire the power to do that. My end and aim of existence is to contribute to world peace. And I established "VegiLicious" from the thought that correcting our diet mainly to organic whole vegetables and grain which humans are originally designed to eat would be the solution to keep people, animals and the planet healthy and happy. 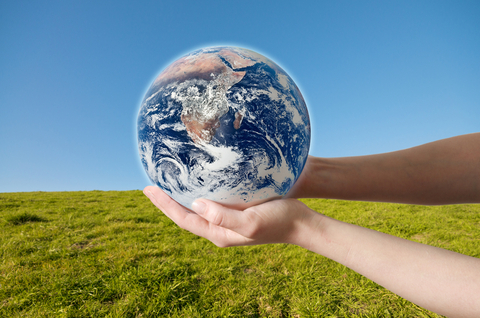 VegiLicious' goal is to help people and the planet get back to their ideal figures. Because human bodies are not designed to eat animals, organic vegan food truly cares and pleases our body and keeps us healthy and happy both physically and mentally. Since more than 20 years before I became vegan, I had continuously studied the nutrition of both East and West, and had been making meals that are nutritious and well-balanced in carbohydrates, protein, fat, vitamins and minerals. Now, without any animal product I can make even better meals having such great nutritional balance along with macrobiotics and love. The main protein sources are tofu, tempeh, beans and alternative meat made from non-GMO soy, which can build muscles good enough even for professional athletes. I have quit wrestling for 14 years and have still kept my body in shape of an athlete even at the age of 44. I have never been sick nor even felt tired since I started eating vegan. It makes me feel happiest when a customer is happy with VegiLicious' food and says ‘Delicious!’ It is because not only we can contribute to customers' health and happiness, but also we can contribute to the planet helping to better the environment, solve the food shortage and save animals.